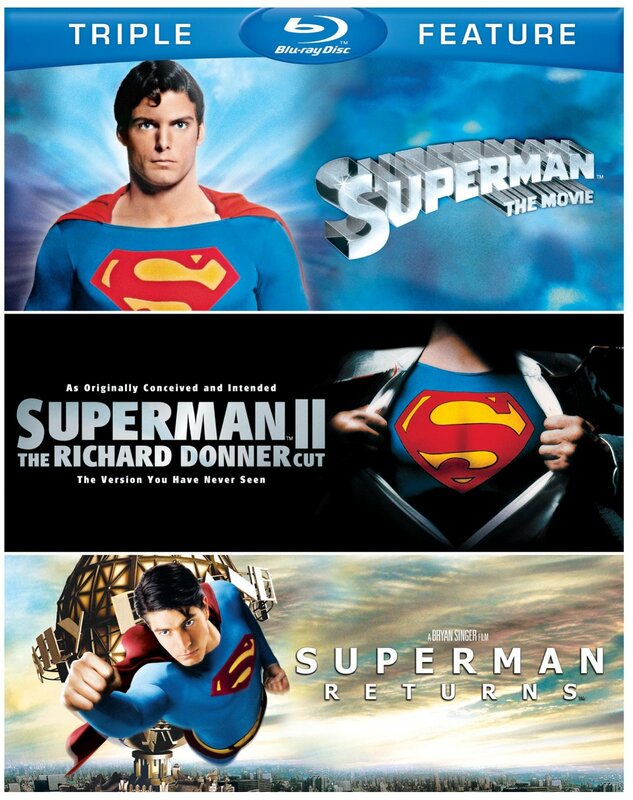 I’d never owned the first two Christopher Reeve movies and had Superman Returns on DVD. When I decided I wanted to re-watch all of the live-action Superman movies, I couldn’t pass up getting this Blu-ray triple feature for only $10 on Amazon. It had been an extremely long time since I’d seen Superman: The Movie and Superman II. I don’t think I’ve watched either in full in over 20 years. I remembered bits and pieces of them (mostly from the sequel) though. I think the first two Reeve movies had a great style to them. It really felt like a comic book come to life and the movies seemed to take a lot of inspiration from Superman’s 1950’s and 1960’s comic book appearances. Though a bit on the slim side, Reeve was a great Superman/Clark Kent, Gene Hackman was a great Lex Luthor and Margot Kidder was surprisingly hot at times playing Lois Lane. The Blu-ray I bought featured Richard Donner’s cut of Superman II, or as close as Warner Bros. could get to using the rest of the Donner footage that was cut from the film. Some of Donner’s shooting script was unfilmed. He was replaced by another director during shooting and alterations were made to the story. I don’t think either of these movies are great, but they are worth watching at least once to see how superhero movies used to be. Looking back on them now, they feel more like campy made-for-TV movies because it doesn’t feel like a whole lot actually happens and Luthor’s plans in the first movie seem so ridiculous and flimsy. Superman Returns was the much awaited return to the big screen for the Man of Steel. I remember being very excited to see this movie when it came out and walking away mildly disappointed after seeing it. I was never a fan of Bryan Singer trying to make this movie a pseudo-sequel to the first two Christopher Reeve movies and didn’t like the fact that the movie begins with Superman returning after a five year absence from earth. It never made sense to me that Superman would leave Lois behind for that long. I didn’t care for the casting of Kate Bosworth as Lois Lane but Brandon Routh as Superman and Kevin Spacey as Lex Luthor were great choices. But, this is third movie in a row (since Singer’s take on Superman does not acknowledge Superman III or Superman IV: The Quest for Peace) where Superman loses his powers and gets beat up for awhile. They really couldn’t have come up with something else? At least Man of Steel gave us a Superman movie with some real knockdown dragout fully-powered fights. Yes, Superman II had some fight scenes but they were done at a slow pace. Instead of randomly releasing direct-to-video movies set in their own universes in order to adapt certain stories from the comic books, it looks like DC is finally having many of their recent animated movies set in the same ‘New 52’-inspired universe. Son of Batman shares its world with Justice League: War (which itself will have its own sequel in the form of Justice League: The Throne of Atlantis). 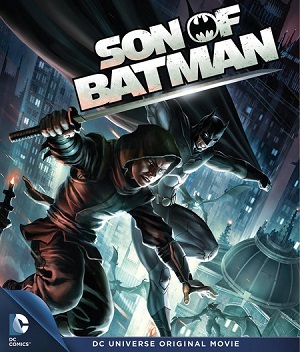 Son of Batman is still based on a storyline from the Batman comics called “Batman and Son”. This was during the Grant Morrison era of writing the Batman comics and I think he’s one of the worst and most overrated comic book writers of all time. That probably explains why I wasn’t that big of a fan of this movie. Trip to Disney was canceled. Still ended up blowing my money. I was supposed to go to Disney World right after Christmas with my family (my parents’ gift to us), but I’ve been having anxiety issues lately and at the last minute I canceled because I didn’t want to take the 14 hour drive (7 hours each way) in the car. But, I ended up having a nice quiet week to myself. I had already requested off at work so I kept those days and enjoyed doing NOTHING for an entire week. No work, no school, no P90-whatever workouts. I ate what I wanted, watched whatever I wanted and bought whatever I wanted! I basically told myself it was okay to blow some money to A) make me feel better for chickening out and B) because I had money I had been saving for Disney anyway. Well, one of the first things I did was check Yankee Candle’s website for post-holiday clearance sales. 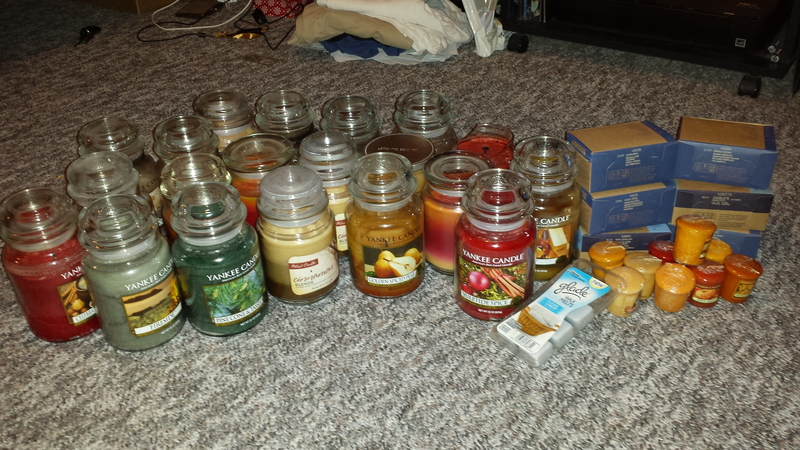 No, the pic above is not what I bought, but it is my entire candle collection. I’m sure it pales in comparison to many others, and if so, I want what they have, too. I ended up buying five large jar candles at half off: Apple Cider, Bavarian Pretzel, Fireside, Pinecone & Tassel and Yuletide Spice. I was only familiar with Apple Cider. It’s one of my favorite candles. Unfortunately, it was not packaged very well and arrived broken. I emailed the company and they quickly responded and have shipped a new one out to me free of charge. After dealing that, I hated to throw a perfectly good candle away. Upon closer inspection, the big broken chunk of glass still fit perfectly with the rest of the jar. I used some quick bond glue and it seems to be working. This is the third movie in Amando de Ossorio’s “Blind Dead” series and was released in the United States as Horror of the Zombies. 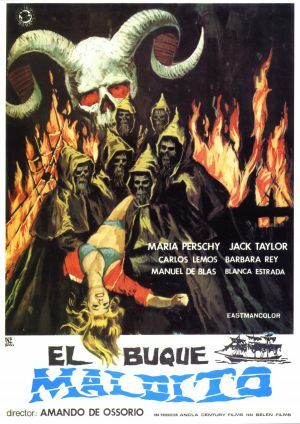 While Return of the Blind Dead was a bit hokey, well, um… The Ghost Galleon still has some of that. Luckily, most of the awful dialogue and extremely-dated fashion is at the beginning of the movie. Although I have to say that the revealing clothes being worn by the women is just fine by me. I first heard of this movie a year or two ago and put it on my Netflix list but never got around to watching it until recently. 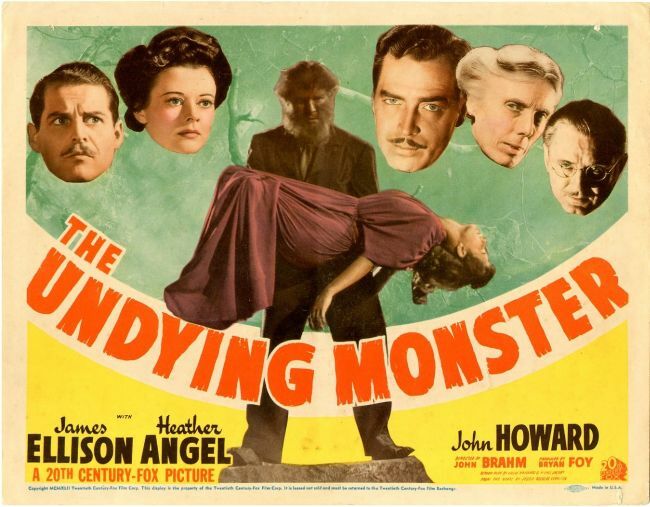 Based on the 1922 novel of the same name, The Undying Monster is an early 1940s 20th Century Fox horror film that, at times, plays like a Universal horror film from the 1930s. It’s also obvious that the studio was looking to cash-in on the popularity of 1941’s The Wolf Man, a trend that even the cover art for the DVD continued by making it look like some long-lost sequel to that movie. This movie has a great vibe to it in the beginning and final moments: spooky atmosphere, a wonderful heart-pounding score and fantastic set pieces. The cinematography is top-notch as well to help set the mood. I don’t usually notice stuff like that, so if I’m taking note of the cinematography, it has to be good. Other reviews I read confirmed for me that I was right! There was a time when I once thought I’d never see a Jack Benny movie. Luckily, pretty much anything and everything makes its way onto DVD at some time or another and movies that were once $100+ on VHS are now $15 on DVD. As I mentioned in my review of The Meanest Man in the World, it’s a good time to be a Jack Benny fan. While his first movie appearance was in 1930 and his last in 1967, Jack really only dabbled in feature films. Benny chose to devote most of his energy to his radio show, and later his TV show, but from the late-1930’s to mid-1940’s he was able to deliver a handful of enjoyable comedies that are now finally back in print on video for anyone to enjoy. Turner Classic Movies has shown the movie over the years but they would do so at such odd late hours that I had never been able to watch it. In the grand scheme of things, The Horn Blows at Midnight is an obscure film. In regards to Benny fans, the movie is pretty famous (or infamous) as after its release and failure at the box office, film’s disappointing display at the box office (though it did turn a small profit) and mediocre reviews became a running gag for years to come on Jack’s radio & TV shows. 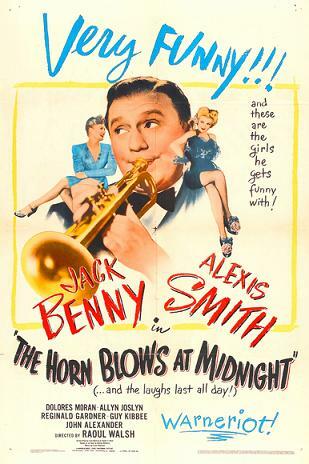 Benny would often make jokes that The Horn Blows at Midnight killed his movie career and that it was a terrible movie. I don’t think that’s entirely correct. While it was the last film to star Jack Benny (he would only make film cameos from here on out), I’m certain he could’ve secured more starring roles if he wished. He was probably discouraged from doing so since this film did not fare so well. 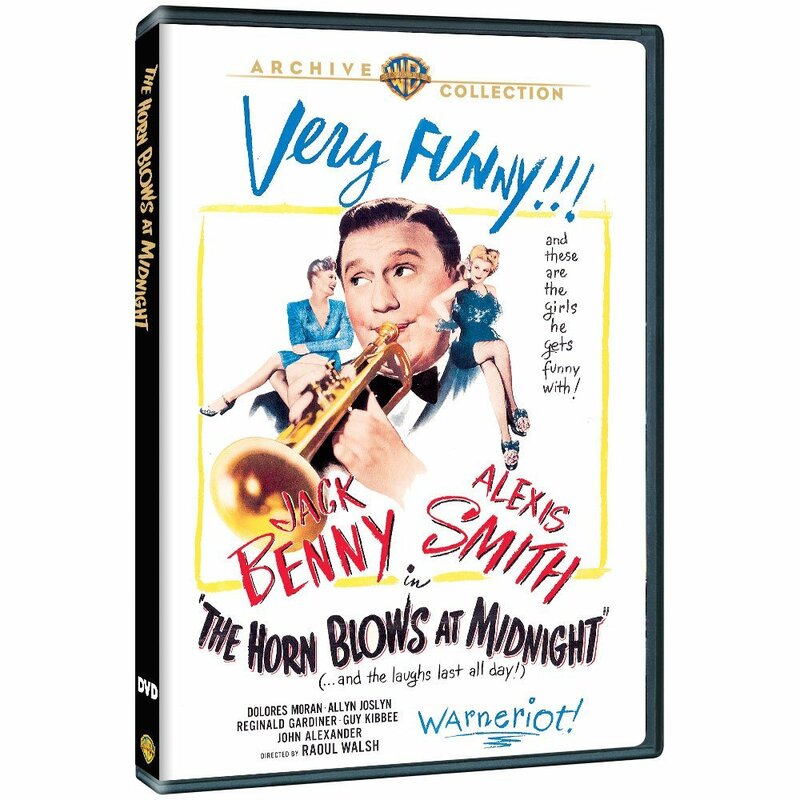 Odd thing is, despite the film not being a success in theaters, The Horn Blows at Midnight would be re-enacted on radio and television with Benny again assuming the leading role. The truth is the movie is not awful. I actually liked it. It’s your typical 1940’s screwball comedy. Jack plays a trumpet player in a radio show orchestra who ends up having a dream that that he’s Athanael, an trumpet-playing angel sent down to destroy earth by playing his trumpet at midnight. God has given up on earth, you see. That’s kind of dark but Benny’s sweet-natured and naive Athanael helps to provide the laughs as he’s forced to deal with thieves, lusty women, angry hotel managers, fallen angels and restaurant bills. Speaking of lusty women, I’m surprised even an angel could resist the advances of the gorgeous Dolores Moran! Alexis Smith co-stars as the angel Elizabeth and is portrayed as a girlfriend of sorts for Athanael. Throughout her career, Smith would co-star with other Hollywood big names such as Humphrey Bogart, Bob Hope, Bing Crosby, Errol Flynn, Clark Gable, Paul Neuman, Kirk Douglas and Cary Grant. The Horn Blows at Midnight is an entertaining film. It is essential viewing for Jack Benny fans to see what all the fuss was about and I recommend it to anyone who likes screwball comedies from the Golden Age of Hollywood. 1963, Universal-International Pictures/Toho Co., Ltd.
Tonight, for the first time ever, I watched King Kong vs. Godzilla. Yes, I’ve fallen prey to the current case of Godzilla fever that is sweeping the country what with the latest American version of Godzilla doing quite well at the box office. I’m not a huge Godzilla fan but I don’t have a bad word to say about him either so I’ve gotten interested in checking out a lot of the Godzilla movies. I saw the original Godzilla movie years ago as a kid and when the original series of films hit DVD about 10+ years ago (For the first time, I think? ), I tried a few of those but I couldn’t get into them at the time. I know for sure I watched Son of Godzilla all the way through and didn’t like it but I don’t recall what else I watched. 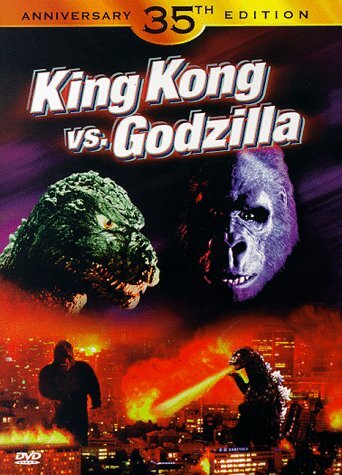 Other than some video footage and still shots, I know for a fact I had never watched King Kong vs. Godzilla. It’s an interesting idea but this is a different version of King Kong than the one that was originally featured in the 1933 RKO film. Most notably, this King Kong is just as much of a giant monster as Godzilla is. Had they kept King Kong at a height comparable to his original incarnation, ‘zilla could’ve squashed him like a bug. Also, with this version, electricity makes Kong stronger apparently. 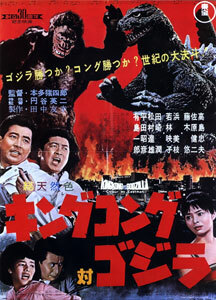 The film was originally released in 1962 in Japan by the Toho Company (the home studio of Godzilla) but was prepped for a U.S. release with added scenes and eventually was distributed by Universal-International Pictures in co-operation with Toho. The story is basically a re-working of the original King Kong film with a subplot about Godzilla stomping his way through Japan thrown in. Kong is definitely the lead character in this film. There’s a brief scuffle between Kong and Godzilla about half-way into the movie but it’s pretty disappointing and abruptly ends with Kong simply walking away after Godzilla uses his fire breath on him. Luckily, the final 10 minutes of the movie are completely devoted to a fun but silly brawl between the two monsters. The army tires of trying to deal with both Kong and Godzilla they decided to airlift an unconscious King Kong via BALLOONS into Godzilla’s vicinity with the hope that both creatures will destroy each other. It’s a rock-throwing, tail-whipping, chest-pounding battle for supremacy! The version I watched is the GoodTimes Video released from 2001. Not sure how that worked out since Universal is the company that released the movie in the U.S. and released their own DVD in 2009 and on Blu-ray in 2014. I was thinking the GoodTimes release probably came from a lower quality source of film but according to Wikipedia, this film was not well preserved at all. That’s obvious during the opening minutes as it really does look like you’re watching an old reel or a worn-out VHS copy. It’s actually a bit charming. At least it’s not annoying like when modern-day films try to have that worn-out look on purpose. Also according to Wikipedia, King Kong vs. Godzilla is the highest-grossing Godzilla movie of all time in Japan. A sequel was planned but never got off the ground. 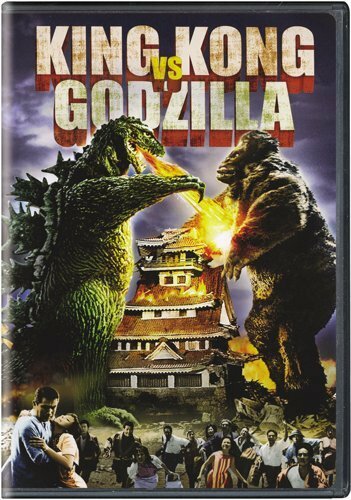 That project morphed into Frankenstein vs. Godzilla but that, too, was canceled and Mothra vs. Godzilla turned out to be the next Godzilla movie released. Toho did release one more King Kong movie called King Kong Escapes, but more on that at a later date. Overall, you have to love the cheesy special effects and seeing guys stomp around and punch each other while wearing rubber/furry suits. The movie is a bit slow but it does have some humorous moments and the big fight at the end is pretty entertaining. Not a great film or even something I would give a full recommendation for but it does have its moments.